Burdened by two scandals, the ex-gay activist group Jews Offering New Alternatives to Homosexuality has changed its name. And its credentials and practices are as scandalous as ever. 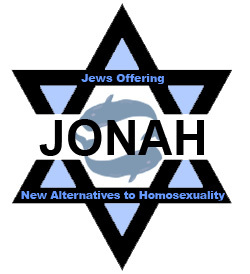 Far from “healing” its clients of any sexual confusion or self-doubt, JONAH has a reputation for supplying its clients with Christian evangelical books and subjecting them to unethical abuses that would never be tolerated among true mental-health professionals. And its counselors’ abuses aren’t “new alternatives,” they are century-old snake-oil remedies.